Brightman Clarke Architects we were appointed to design a small development of two semi-detached homes infilling a site between two existing houses on a residential street on the outskirts of Chesterfield. Under current highways standards, cars had to be able to drive onto the site and be able to turn around before re-entering the highway in a forwards gear. This, combined with requirements for private parking spaces, became the main challenge in designing the properties whilst also fitting into the established street scene. To achieve this Brightman Clarke Architects created a shared frontage, with one central access point into a turning area with parking spaces either side of this. 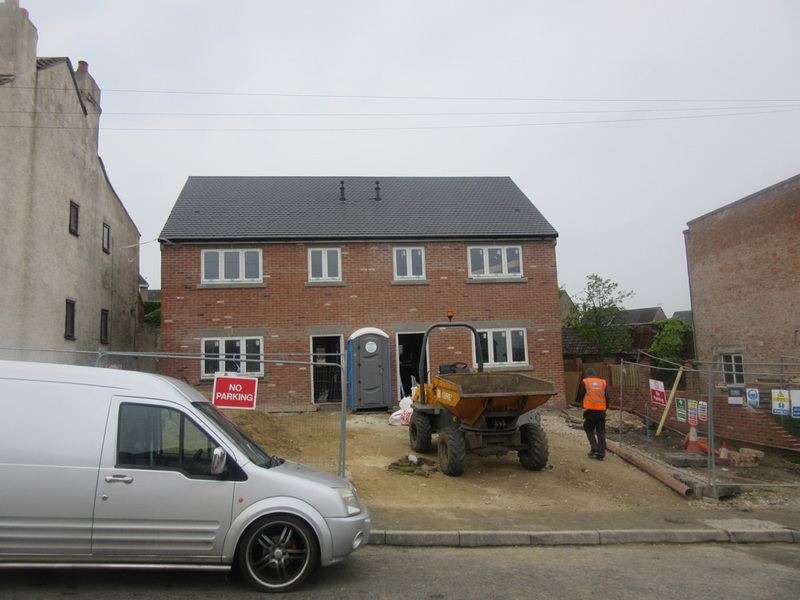 In order to ensure that the houses sat appropriately on the street, the parking and turning areas are kept to a minimum with small planting areas designed to break up the mass of paving against the brickwork of the houses. 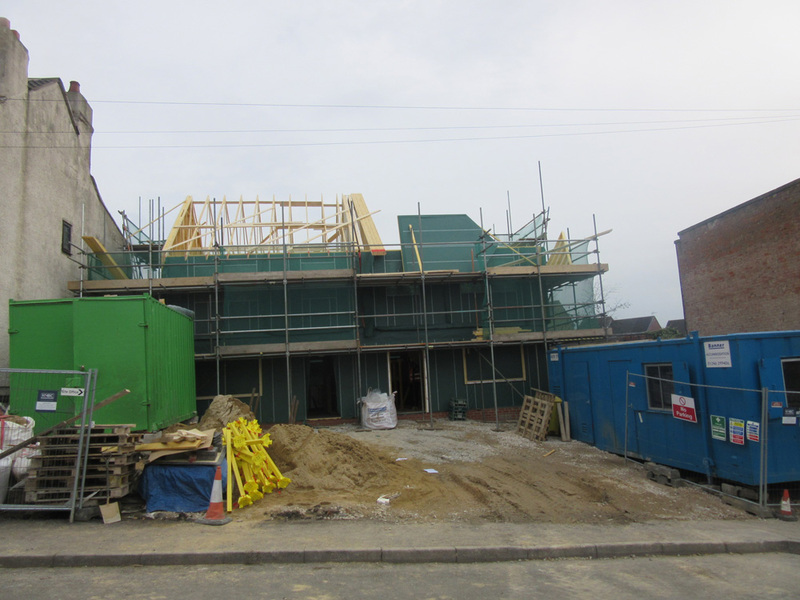 We also looked to utilise the same materials as a recent housing development on the other side of the road to tie the development in with the surrounding street scene and ensure that the new homes were in keeping with the architectural style of the area.